This morning I met with my boss, Dr. Sarah Campbell, to talk about what happened over past week. The SAA conference was great, but just happened to coincide with the start of a new quarter here at the Western Washington University anthropology department. 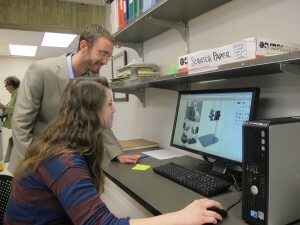 Sarah knows the collections like the back of her hand and gave the new student workers and interns a tour of the lab, but wanted me to show them the new collections management software and the network drive. Dr. Sarah Campbell pointing out an old magnetic label we should reuse. I met with three new lab interns. First I discussed my background, and then interviewed each about their background and interests to find projects they could get excited about (yay, using ethnographic skills!). Each of the three interns have distinct backgrounds. 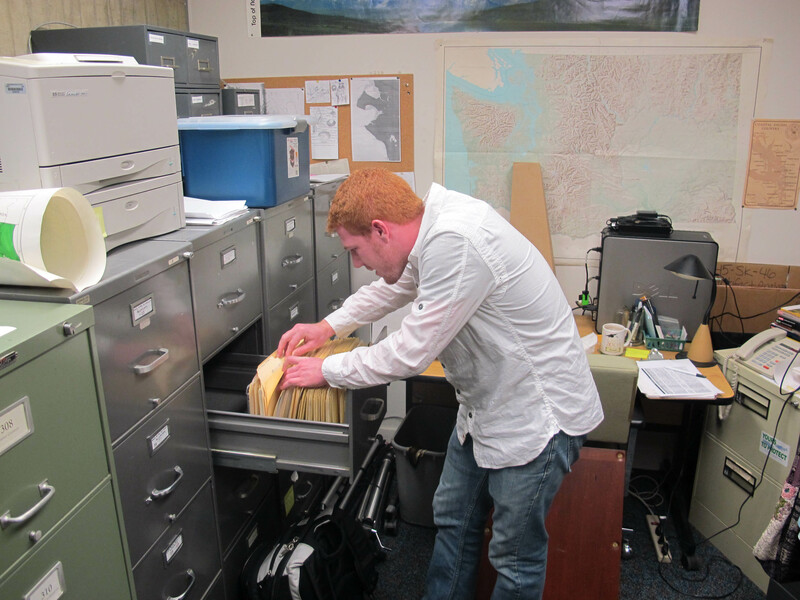 Charles, who allowed me to take a picture of him looking through an accession’s archived documents in our file cabinet, is interested in European archaeology, particularly that of Greece and Rome. Charles also has some hobbyist experience modding the game Star Wars: Empire at War through editing XML. After commiserating over the shutdown of LucasArts (the studio who made the game) earlier this week –myself more because of Grim Fandango and Monkey Island than for their more recent games– I told Charles he should really check out Shawn Graham’s work using games like Civilization to teach history. Other students’ backgrounds included hitchhiking through Guatemala, working as geophysics and oil engineers, in libraries (I love librarians, they’ve got so much figured out that archs are just beginning to know we need! 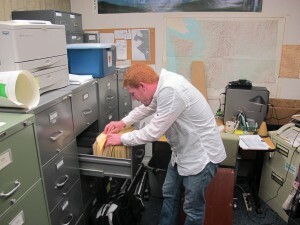 ), and having some experience with GIS, even as undergrads, which is fantastic! One of the grad students here at WWU, Rachael, has been doing some really neat analyses of quartz crystal microblades: small, very durable lithic tools. Rachael has been doing a lot of running back and forth to the biology and geology departments on campus to get microscopic photographs and SEM (scanning electron microscopes) images of the microblades, but has been hampered by the fact that our department doesn’t have regular access to a microscope with a camera attached. Rachael, however, has stuck with it and made gotten some incredible images for her research. She’s also done the legwork to determine what kind of microscope our department could use, and here’s a picture of me giving her my two cents on the model she likes (it’s a very cool, tiny scope with attached camera). That fancy suit I’m wearing? Yeah, that’s left over from the conference. Usually, I work in a pair of Carhardts and a shirt but, having just come off the airplane, I got to be extra fancy for the camera today. This afternoon, I worked with another student to help him determine which of his files from last quarter were important to keep (e.g. originals, metadata, photoshop files to easily create derivatives). Following along on that, I also put together a price list for an automated NAS (network attached storage) and 2 hdds (a primary and a backup) so that we can ensure that our scans of primary field documents, such as maps and notebooks are safe. We still need an offsite backup for full 3-2-1 backup, but we’re getting there. 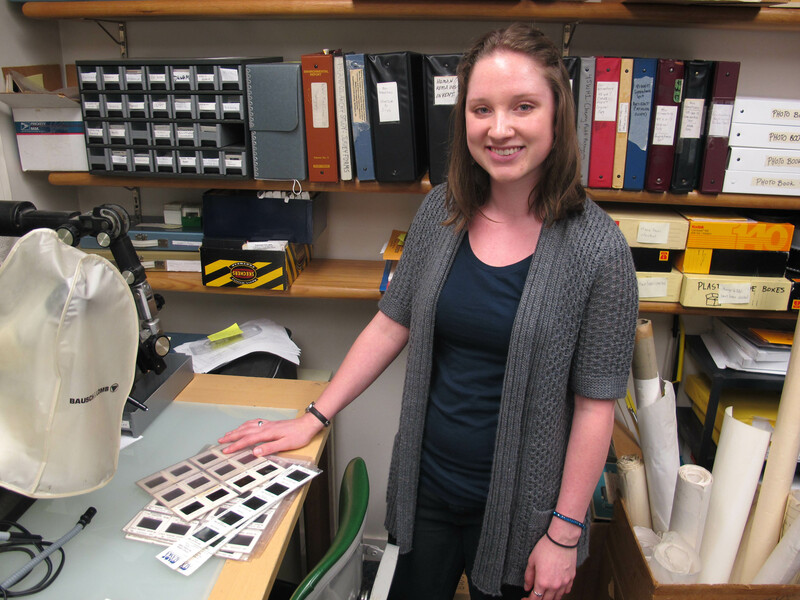 Another student, Andrea, has been scanning slides from our accessions. Andrea’s been having a problem though where the scanner will digitize the image just fine, but strip out the cardboard or plastic frame that houses the image. If the frames were blank, that would be ok, but in most cases the frames have a lot of information written on them, such as captions, dates, and frame numbers. The issue can likely be solved by deselecting an option somewhere in the scanner settings, we just need to find it. Finally, I just wanted to mention our collections management system. As part of preparing our repository to meet the US Secretary of Interior standards (36 CFR 79.9), we’ve been transferring our collections memory out of Dr. Campbell’s head and our paper documents into other finding aids: an accessions filing system and digital finding aids, initially an Excel spreadsheet (remember folks, Excel isn’t a database, nor should you try to make it act like one) but now we have Access databases for our maps and boxes which we are cleaning and preparing for importing into PastPerfect 5.0, a collections management database software. PP5 generally works well, but we’ve had a bit of a learning curve with it and learning all its features. PP5 is made to be somewhat user friendly, since it’s a generalized database for museums of difference kinds, but also contains a lot of fields that you may not use if have a narrow collection (i.e. 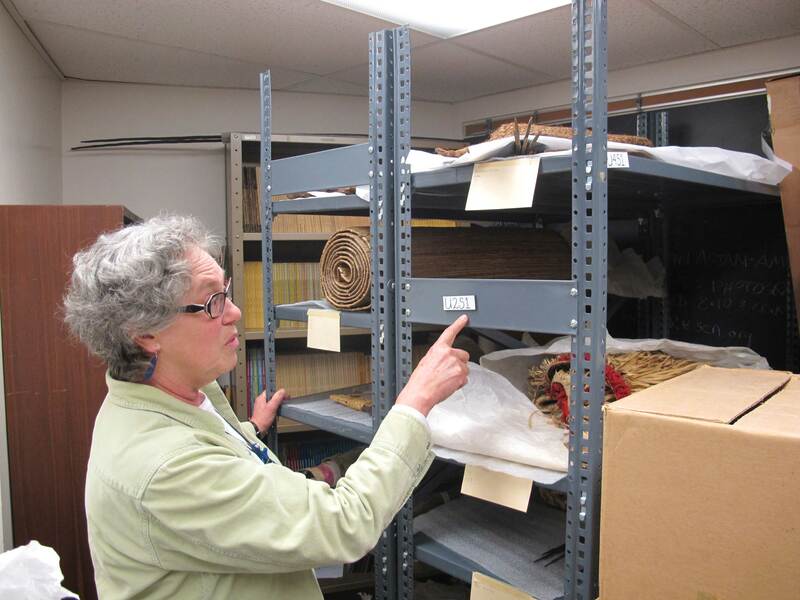 you only have a few types of materials that all relate to archaeology, but not really geologic, biologic, or museum specimens). This can make it a little difficult for novice users to choose which specific field to use for a piece of data. You really need to read the manual, but, if you know how to use it, then PP5 can be extremely powerful, allowing you to do all sorts of management things including keeping track collections check-ins/checkouts and volunteers’ hours! That about wraps it up for me today. Today was abnormally busy because I was gone last week and, combined with the start of the new quarter, there were a lot more things that piled up! That said, I hope I got across the number of different kinds of tasks and projects digital humanists/archaeologists may work on, even in a single day. It’s pretty exciting actually and I really enjoy bouncing back and forth between the different jobs, but today, combined with the late night flight, I’m pretty exhausted. 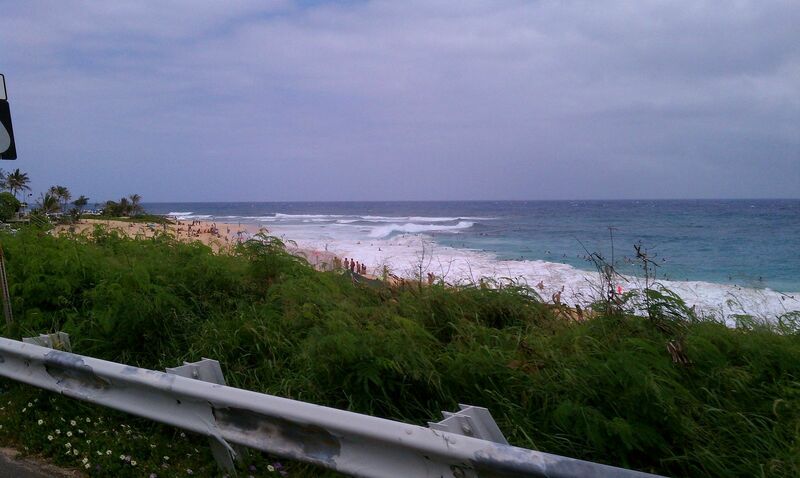 Got back from Hawaii at 8:30am this morning after a long flight. The SAA meeting was spectacular and, once again, just as good for the random interactions with both old friends and new smart people as it was for the sessions and posters themselves. The sessions on digital data creation and management were especially excellent however, and I very likely will reference some of them as I go about documenting my work today. If you’re interested in seeing more, however, check out #SAA2013 on twitter for live tweets from the sessions and other stuff from around the conference. I’m very jetlagged right now, but look out for a post or two about training a bunch of new lab workers on archaeological repository methods and how to use our collections management software (PastPerfect 5.0), which is how I’ve spent my morning. In the meantime, please enjoy these pictures of where I was just about a dozen hours ago (I know I did!). 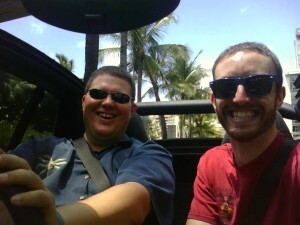 Obviously, this was after the conference was over, although I’m all for holding a conference at the beach. @ArcheoWebby and @DiachronicD (me) hitting the road.